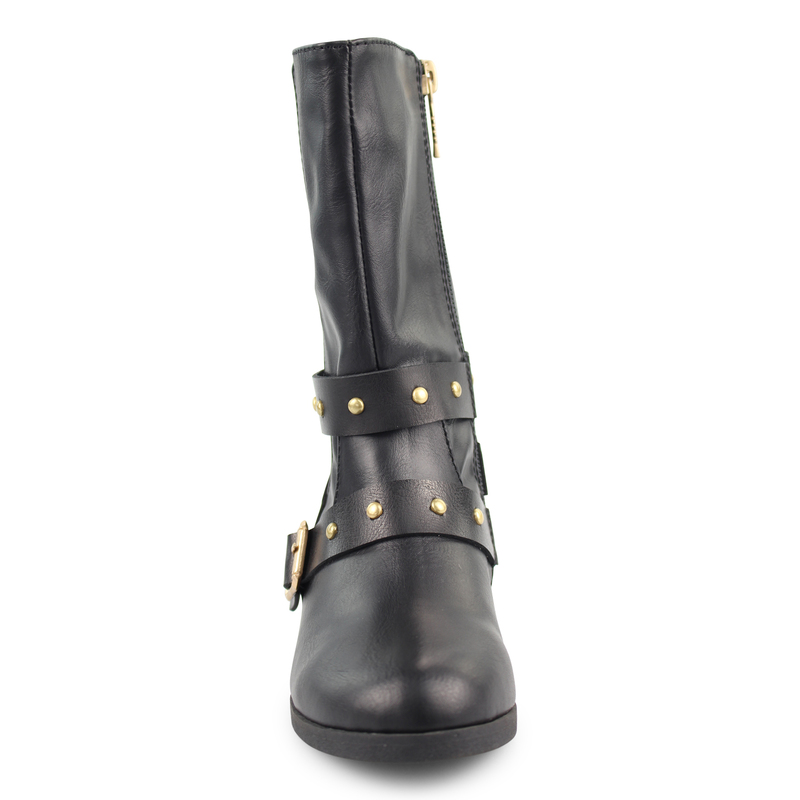 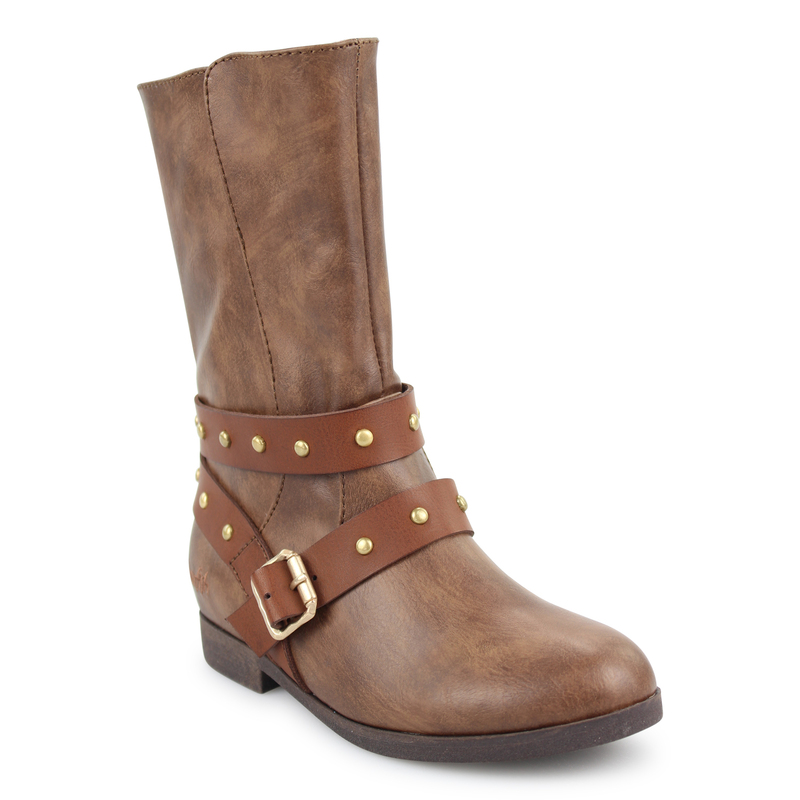 Complete her look with a California-cool boot style from Blowfish Malibu. 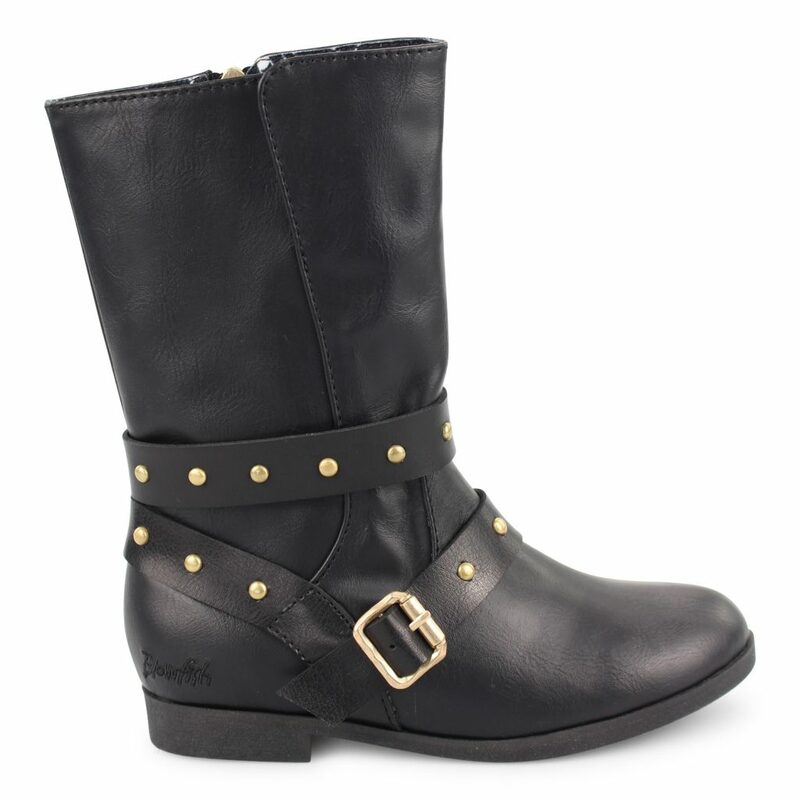 Stubbs-K is a low-heeled boot with classic Blowfish Malibu elements such as premium faux leather materials, distressed stud and buckle detailing and an inside zipper which allows for easy on/off. 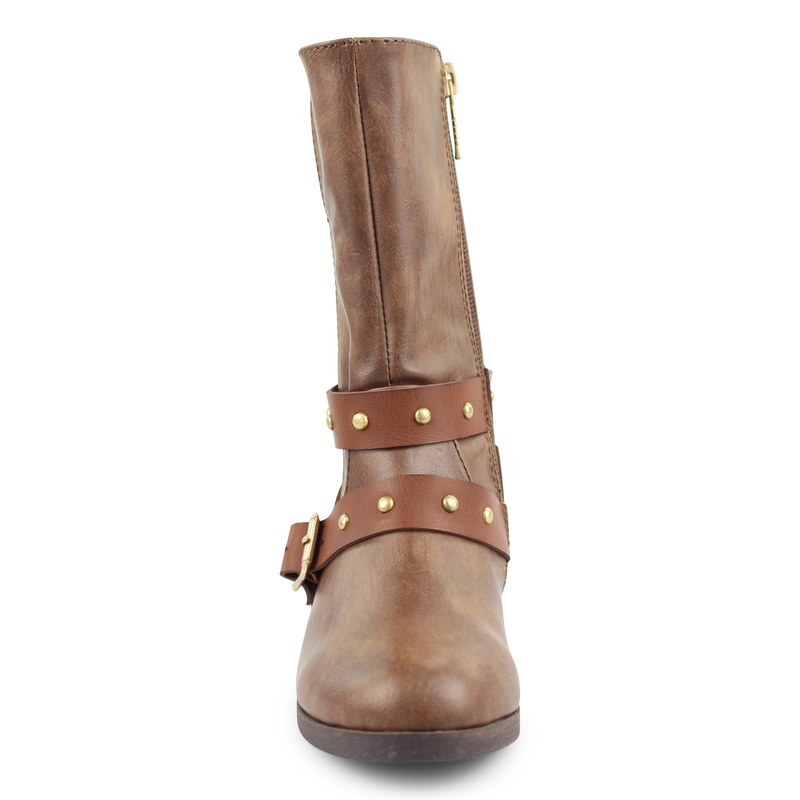 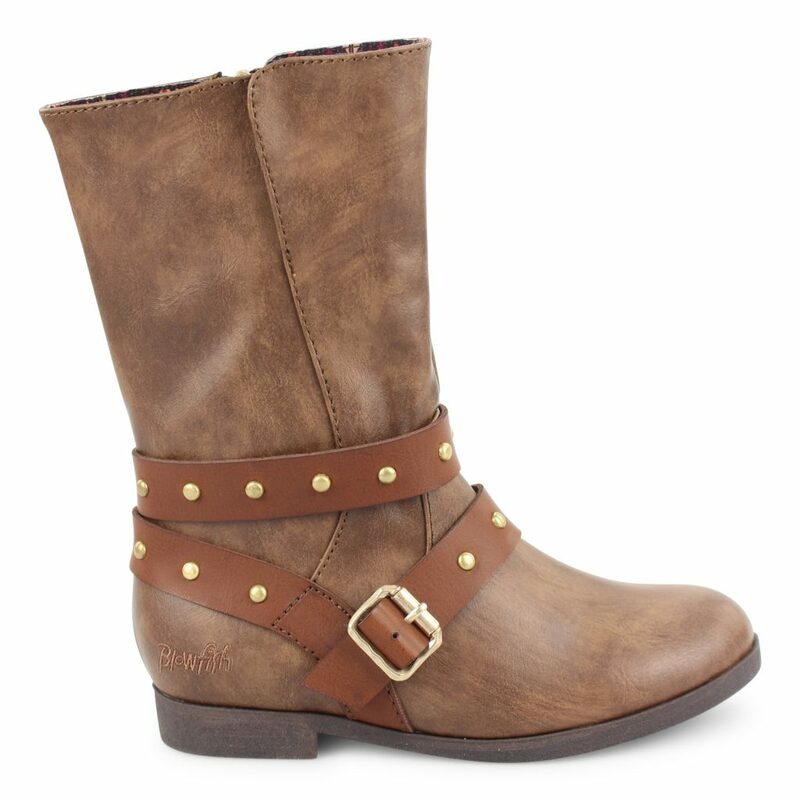 Stubbs-K is a style she can pair with any of her fall outfits this season!